7 Marketing Job Descriptions and Salaries. How Much Do Marketers Make Per Year? Enough talk about work! Let’s talk about careers. We all work on marketing for companies. But we also work on ourselves. As we upgrade our skills, we create more value, we move up and our responsibilities grow. Hopefully, our titles and salaries grow too. A year and a half ago, we created a marketing salary guide along with job descriptions for seven different marketing positions. The hope was to make something useful to employees and employers alike. Once it began ranking for “marketing job descriptions” we realized we’d have to keep it updated. So with the 2016 data as the benchmark, we repeated the process and found salary data using the same process from the same sources. We were surprised at the changes. It’s a good time to be in marketing. Here are the updated marketing salaries, followed by the detailed job descriptions for each marketing job title. Enjoy! These marketing job salaries aren’t starting salaries. They are median total compensation numbers based on reports from 67,736 individuals with these marketing job titles from several data sources. About the data: These salaries are from June 2016 and November 2017. This is US national data is from Glassdoor and PayScale and includes total compensation, including salaries, bonuses and other benefits. Marketing salaries vary widely. Industry, company size, geography and experience are all major factors. Compensation for each of the positions increased over the last 18 months. They all exceeded the 3% baseline set by the U.S. Salary Increase Survey. That’s good. But the average across all of the positions went up 19%. That’s amazing. This suggests strong competition for top marketing talent. Companies are placing high value on team members who can drive demand. The mid-level positions saw the strongest growth. And compensation for one position overtook another. 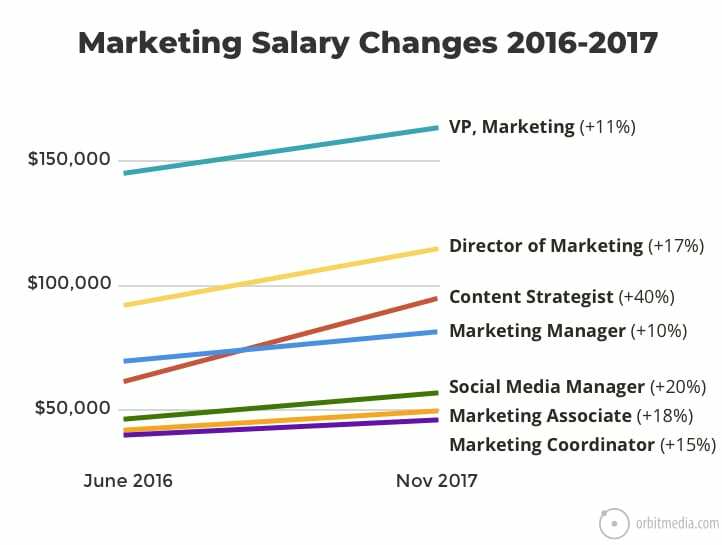 Content Strategists now make more than Marketing Managers. It’s a key skill that cuts across almost digital marketing disciplines. It’s no surprise that these people are in demand. Here are the descriptions of the seven jobs above. Consider this a “swipe file” that you can use to grab template job descriptions. You are welcome to copy, edit and adapt these to fit your open positions. Each description is available as a Word download and Google Doc. 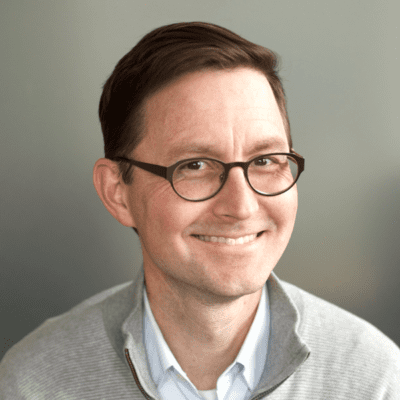 Marketing Coordinator supports external teams through project support, program execution, collateral development, project support, sales programs, as well as via ad hoc requests. 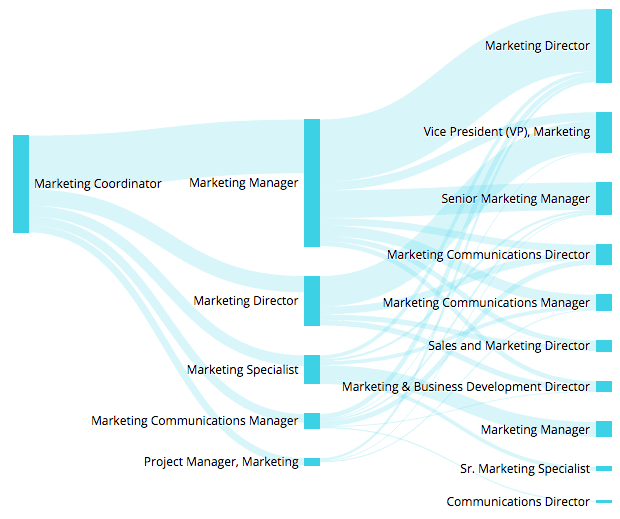 How much do Marketing Coordinators make? The median Marketing Coordinator salary in 2017 is $46,756. Support online and offline marketing and advertising initiatives with the goal of expanding brand awareness within targeted, relevant audiences. How much do Marketing Associates make? The median Marketing Associate salary in 2017 is $49,708. Engage with communities and clients through social media channels, with the goal of web traffic, lead generation and revenue. Create, execute and revise social media strategy and social media marketing blueprint. Search optimization knowledge: strategy, gatekeeper, manager of voice and brand. Social media expert: determine / manage what types of content works best on what platform, optimizing content accordingly, as well as understanding the different nuances of each platform; know how to engage an audience through social media posts and interactions, and should, hopefully, find some joy in doing just that. Customer service: know how to best communicate with customers and audience members; handle all customer interactions; social media presence is your brand’s face online. Social media management: know how to use leading online tools to direct the marketing strategies. Copywriting skills: Creativity; convey ideas in a clear and precise way. Visual intelligence: knows what images will work, and when; have general knowledge of design in order to create visually appealing graphics to coordinate with appropriate posts; video an ever-increasing component of social media strategies. The median Social Media Manager salary in 2017 is $55,901. In addition, the content strategist works closely with business partners to consult on long-term and short-term online content strategies. How much do Content Strategists make? The median Content Strategist salary in 2017 is $87,174. Manage brand messaging via marketing, advertising and promotional activities. Ensures relevant metrics are measured, benchmarks met, staff performance enhanced, and managed communities enriched through assigned goals and objectives. The median Marketing Manager salary in 2017 is $78,429. Demonstrate leadership and expertise in marketing. Be savvy in various forms of online and offline demand generation. Charged with leading a wide range of community experiences and becoming the brand voice. Strong creative skills and proven track record of design oversight and maintaining brand standards. Proficiency in content management systems and content governance process. Experience developing integrated demand generation strategies and executing campaigns with a proven record of supporting sales to meet and exceed pipeline and revenue targets. Excellent communicator with proven ability to clearly convey complex ideas and data in written, presentation and spoken formats to a variety of audiences including executive management. Detail-oriented team player with cross-functional project leadership and strong team management skills. Proficient with creative software, such as PhotoShop, Illustrator, PowerPoint, etc. How much do Marketing Directors make? The media Marketing Director salary in 2017 is $109,492. Responsible for determining and leading the strategic direction for organization’s marketing functions including positioning, brand awareness, driving demand generation and lead nurturing. Achieves targeted results, ensures timely and effective execution of marketing tactics and promotions, and develops benchmark criteria to measure/analyze the efficiency and effectiveness of those promotions. Conducts and analyzes market research to determine competitiveness, identify insights and implement actions. Measures the effectiveness and of the marketing department and implement improvements as required. Carries out managerial responsibilities in accordance with the organization’s policies and applicable laws. Proven experience in a Marketing Leadership role with a track record of driving financial results in highly competitive markets. Strong market planning experiences which include evaluation and sizing markets, segmentation markets, development of value propositions and designing winning processes to achieve marketing objectives. Broad industry knowledge of emerging markets and technologies highly desired. How much do VP’s of Marketing make? The median VP of Marketing salary in 2017 is $163,134. A career is any field is rarely a straight line, but there is a progression in job titles, from junior to senior. The job titles are listed in order of seniority. And since this is a content marketing blog, we’ve added a few jobs that are specific to digital. 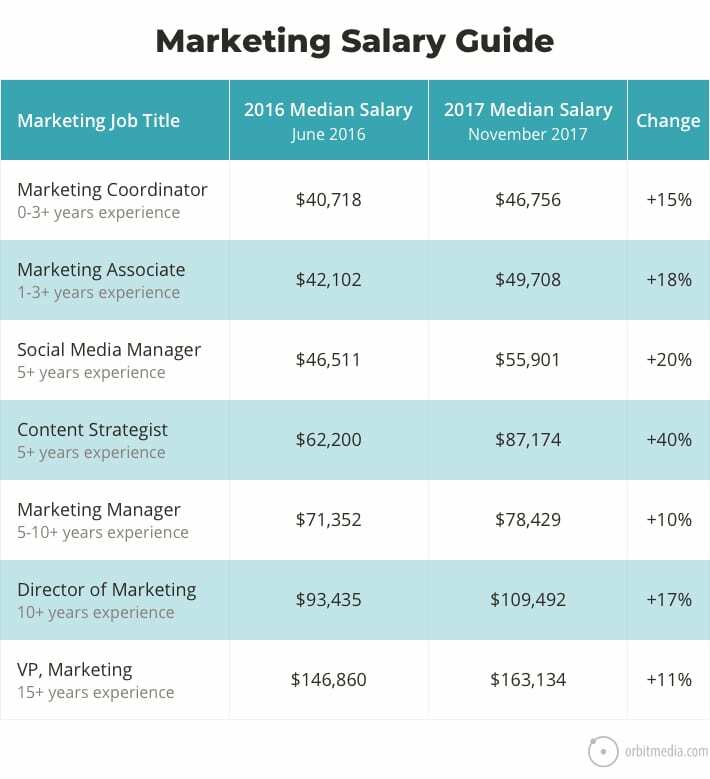 Note: Notice how the salary data shows very little distance in salaries between the first two job titles, Marketing Associate and Marketing Coordinator. According to the data on Payscale, they are both more junior roles, which most often lead to a Marketing Manager position. Our field is growing. According to the Bureau of Labor Statistics, the future holds a 9% increase in total number of marketing jobs in 2016. That’s right in line with the national average of all fields. But judging from the jump in pay, demand for marketing experts exceeds the supply. I really enjoyed this article. My boss recently sent out questions around our reviews & goals and having this helped me identify where I am and where I want to go. Marketers are a very good profession, all marketers also have good career growth, recently read a good article about career growth https://samples.edusson.com/career-path/, I think you will also be interested, we all should think about our future. Nice post Andy. Definitely showcases how much value is being placed in the personnel behind those digital strategies! Nowadays these marketing job descriptions are not needed for everyone. For example there are lots of web designers that make very attractive CVs using different tactics to attract attention to their person. And in that case companies start to fight for them. Or when someone creates a blog with the article where he lists his way to success like here for example http://www.internetadvertisingcompany.us/2018/04/06/how-to-improve-the-designer-and-how-the-agency-helped-me/ it also wakes a lot of interest. How about some thoughts or statistics on the age of CMOs/VP Marketing. Would an individual over 60 even get interviewed? How about over 80? Love to get your comments/experience. Great post. As a content manager, I wonder which of these job titles corresponds most closely to my role, or whether it sits as distinct from these.